Back in February, I wrote about one of those ‘things you didn’t know you didn’t know’ – that it is possible to earn British Airways Avios points and tier points when flying with Emirates! 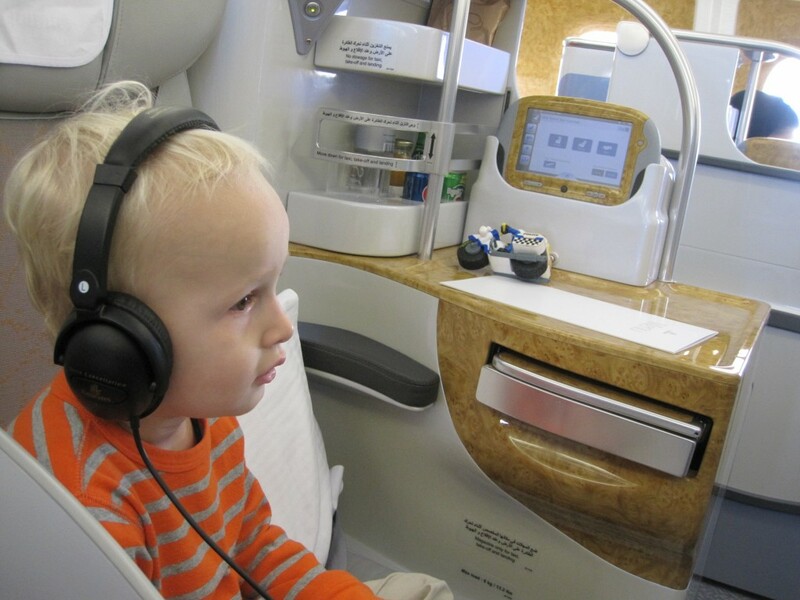 If you live in the UK regions, Emirates is a decent choice for long-haul travel, especially in premium cabins on the A380 routes. One downside is Emirates Skywards. It is a pretty feeble loyalty scheme with low earning rates and high redemption rates. You can redeem for Arsenal VIP football tickets and for easyJet flights but that is about it. One alternative is crediting Emirates flights to Alaska Airlines as the two are partners. Alaska is also a British Airways partner so you could redeem the miles for BA flights. If you didn’t have enough, you could credit a few BA, Air France or KLM flights to Alaska to top up your account. Qantas signed a major tie-up with Emirates two years ago. 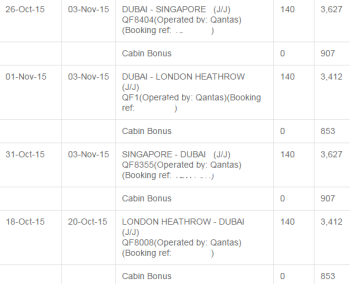 A large number of Emirates flights now carry Qantas flight codes. Qantas is also a member of the oneworld alliance alongside British Airways. I got my wife to try this out recently. She had to fly to Singapore for a conference with the start date being immediately after our recent Dubai holiday. As the rest of us were already booked on Emirates, it made sense to book her onto a London – Dubai (stopover) – Singapore – Dubai – London routing. To book an Emirates flight under the Qantas flight numbers, you should use the Qantas website to book. Flights may be cheaper, the same or more expensive than booking via the Emirates site – it varies by service – so be careful. Expedia and other third party sites may also show Emirates flights with Qantas flight numbers but you need to check this carefully before hitting the ‘buy’ button. For corporate bookings, you need to carefully explain to your travel booking company what you want to do. It is not just routes to Australia that have a Qantas codeshare attached as these Singapore flights show. I was aware of this “opportunity” when I booked from LHR to SYD in business flying EK but on a QF flight number and ticket. I was Emirates platinum at the time but wanted to earn Avios so put my BA number into the profile. At Dubai, I was stupid/greedy, and tried to gain access to the EK first lounge with my platinum card. I was told I could only do that if I put my EK number into the booking which I declined. Unknown to me my EK number somehow at this point did go onto the booking. When I got back to the UK I was disappointed to see the entire trip credited to my EK account rather than Avios. I did email EK customer service to see if it could be reversed but they declined but suggested I contact BA. I filled out the BA form for missing Avios/Tier points and they were credited within a week or two – and my EK credit remained! I’d not recommend this as a strategy for getting credit from both airlines but the lack of any partnership between BA and EK helps in this situation. Neil. Similar situation but I was in First and they put my EK booking in although I had specifically asked them not to! Likewise filled out the online form and hey presto – currently sitting with credit to both…not recommended as a strategy either, but hey ho! Fully expect to lose one at a later point I guess because their systems (as much as BA’s is a joke) must talk at some point.